The situation of human rights defenders and the responsibility of states to ensure a safe and enabling environment for their work remained at the forefront of the Commissioner’s attention in 2016. The Commissioner organised and participated in round tables and side events, and in two inter-mechanism meetings, related to the role and the situation of human rights defenders in various parts of Europe. He also published thematic documents relating to the important role and contribution of human rights defenders with respect to the protection of human rights. As part of his continued monitoring, the Commissioner published several statements on the situation of human rights defenders in various regions of Europe. Moreover, the Commissioner intervened before the European Court of Human Rights as a third party in three cases relating to human rights defenders: Khadija Ismayilova v. Azerbaijan; Svetlana Khusainovna Estemirova v. the Russian Federation; and Khalid Bagirov v. Azerbaijan (for further information on third party interventions, see chapter 6 of his report). In March, the Commissioner issued statements about a series of violent attacks against journalists, human rights defenders and NGOs in Chechnya and Ingushetia in the North Caucasus. The Commissioner contacted the Russian authorities indicating the need for immediate protection of those who had come under attack, and for a prompt and thorough investigation with a view to holding those responsible to account. On 30 June and 1 July, the Commissioner organised in Strasbourg a round table with human rights defenders on missing persons and victims of enforced disappearance in Europe. In addition to human rights defenders from more than 20 different European countries, the event was attended by experts in the eld, including the UN Special Rapporteur on the situation of human rights defenders, Michel Forst, and a member of the UN Working Group on Enforced or Involuntary Disappearances, Henrikas Mickevičius. During the round table, the participants discussed the recommendations contained in the Commissioner’s Issue Paper Missing persons and victims of enforced disappearance in Europe. The participants also exchanged important information on issues relating to missing persons, victims of disappearances and transitional justice in European countries affected by these issues. In particular, they raised the importance of establishing the truth, instituting efficient and effective domestic legal and institutional frameworks, and combating impunity through prosecution and punishment of those responsible for enforced disappearances, and the necessity to provide support and reparation for victims. The round table was also aimed at reviewing the situation of human rights defenders working on those issues, including obstacles that human rights organisations and defenders face in carrying out their activities and possible ways to overcome them. 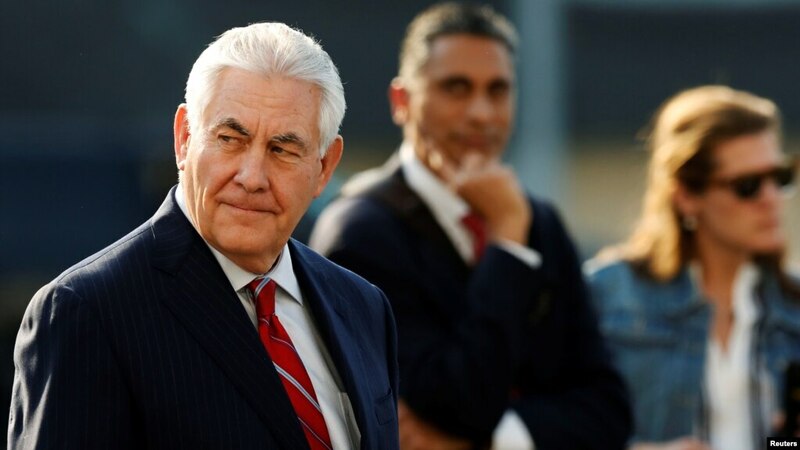 The Voice of America (3/3/17: Tillerson in Background as State Department Issues Human-Rights Report) and other media reported on the low-key way in which the US State Department launched the 2016 Country Reports on Human Rights Practices. U.S. Secretary of State Rex Tillerson arrives in Mexico City, Mexico, Feb. 22, 2017. A senior Trump administration official briefed reporters on the 2016 Country Reports on Human Rights Practices and rejected criticism from some human-rights groups and lawmakers that the briefing was not announced a day in advance, was not on camera and did not feature Tillerson. “The report speaks for itself. We’re very, very proud of it. 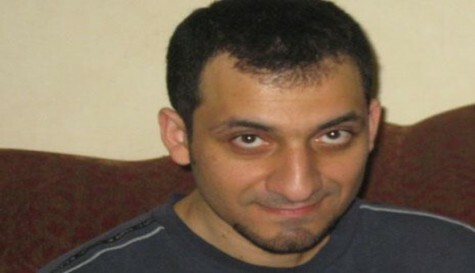 The facts should really be the story here,” the senior official said Friday. “Secretary Tillerson spoke quite clearly in his confirmation hearing about his views of the impact of human rights on, and the importance to, U.S. interests.” When questioned by reporters, the senior administration official did not explain why Tillerson did not unveil the report, but did say that the State Department wanted to get it out without delay. After a short break, this blog resumes its job of selecting and summarizing events related to Human Rights Defenders. 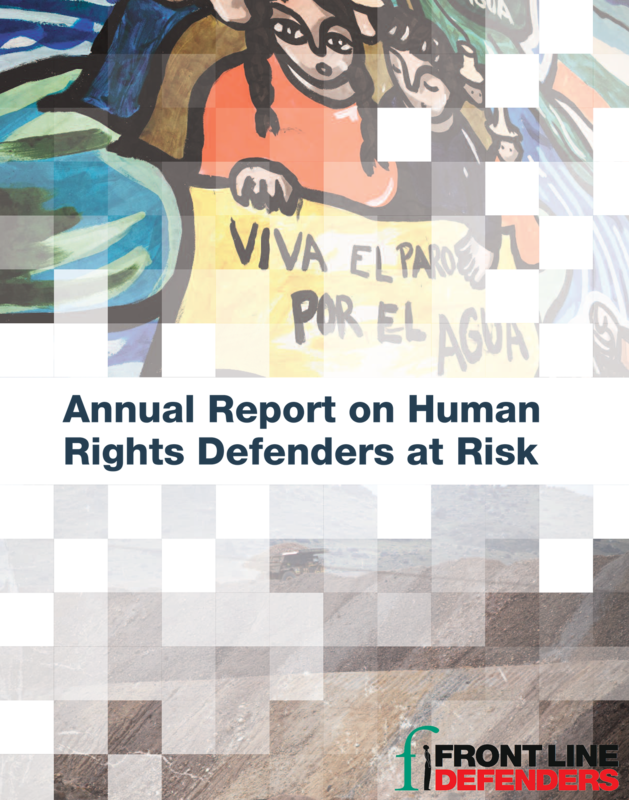 2016 was a horrible year for HRDs and the launch of the annual report of Front Line Defenders confirms this by reporting that “more than 1000 human rights defenders were killed, harassed, detained, or subjected to smear campaigns and other violations in 2016″. According to the report, 281 human rights defenders were murdered in 25 countries, 49 percent of whom were defending land, indigenous and environmental rights. Front Line Defenders found that in the vast majority of cases, killings were preceded by warnings, death threats and intimidation which, when reported to police, were routinely ignored. In addition to killings, over half of the cases reported by Front Line Defenders in 2016 concerned criminalisation, a tactic which the organisation calls “the first choice of governments to silence defenders and to dissuade others”. Today the International Service for Human Rights (ISHR) announced the publication of its annual report which highlights key developments during 2015 and its vision for 2016 and the years ahead.